One of the favorite shows in my house is Peg + Cat. My girls and I love to watch PBS Kids every morning. They tend to sleep in late (I have to break them of that since morning school starts next year) and wake up just in time for Peg + Cat at 9am. We always watch it during breakfast – it is part of our morning routine. Lately, my 3 year old has been begging to watch it in the car everywhere we go. We have had the Pirates Ahoy DVD for some time (see my post about it here) and so I have been hoping to get another Peg+Cat DVD soon to switch it up. The Peg+Cat: Peg Rocks DVD includes some really fun episodes with lots of music! I have caught myself singing along on more than one occasion. Purchase your copy here. 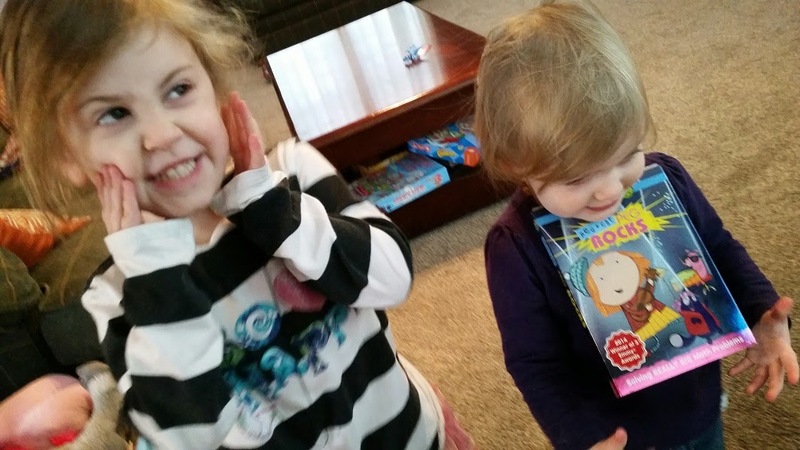 PEG + CAT: PEG ROCKS will be available on March 3, 2015. Solving problems is even more AWESOME when music is involved! This new toe-tapping DVD features fun-filled musical escapades, including “The Girl Group Problem,” in which Peg’s girl group, the Pentagirls, has its biggest show ever, and “The Mega Mall Problem,” which features Peg and Cat searching the mall for the teens, so they can all enter the Zebra Guy dance contest! Each PEG + CAT adventure features a story in which Peg and Cat encounter an unexpected challenge that requires them to use math and problem-solving skills in order to save the day. 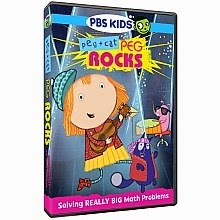 While it teaches specific math lessons, the series also emphasizes resilience and perseverance.The “PEG + CAT: PEG ROCKS” DVD (SRP $12.99) has a run time of approximately 85 minutes. In addition to featuring seven rockin’ stories (below), the DVD includes printable activities – pirates + peaches board game, four fantastic flip-books, Cat sock-beanie instructions, and PEG + CAT stick puppets. The episodes featured on this DVD are: The Big Gig Problem, The Mega Mall Problem, I Do What I Can: The Musical!, The Girl Group Problem, The Groovy Sixties Problem, The Magic Uke, The Rocking Out Problem. My youngest daughter just turned 2 years old and can already count to 20! I am pretty sure that Peg+Cat has had a hand in that. 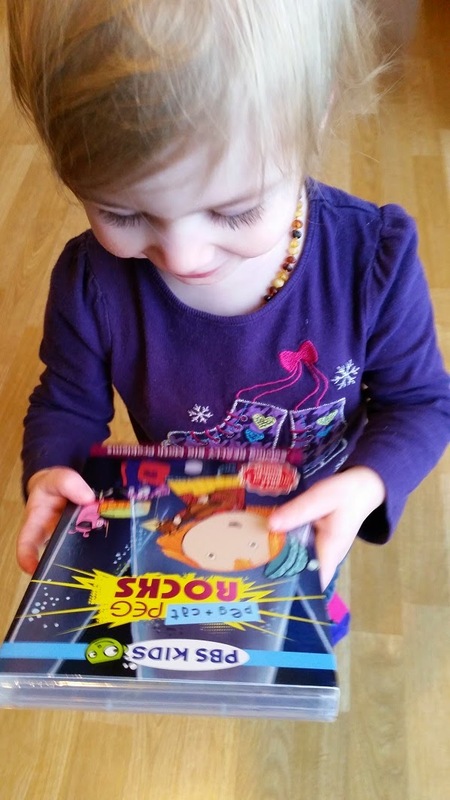 My 3.5 year old counts to 100 – and I KNOW that is from Peg+Cat. This show is great for teaching math skills to young kids and I highly recommend it. I received this in exchange for my unbiased, honest review. All opinions expressed are 100% my own.